Sunday Funday! – Travels of Tay . 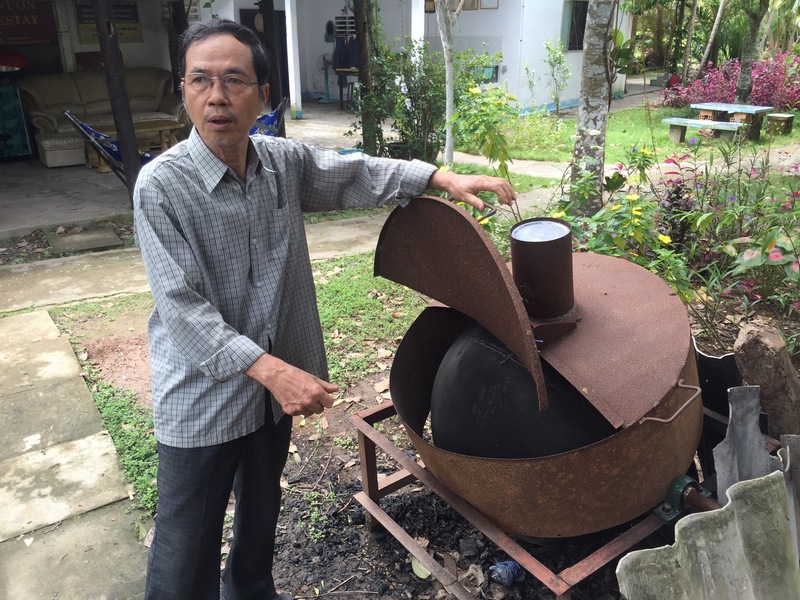 . .
Let me start by saying that weekends aren’t really a thing in Vietnam. It is not unusual for teachers to have a full workday on Saturday, and I, myself, have class starting at 7 am (I know, its practically ungodly). Basically, the intense euphoria of “TGIF” that I once craved in college is now completely nonexistent. I also work every other day of the week except for Sunday. Thus, Sunday Funday!!! Yesterday, I had arguably one of the best Sundays of my life. My Vietnamese friend, Maru, came over in the morning to make breakfast. She is an amazing cook and put together a sandwich with bacon, eggs, green onion, cucumber, and tomato (yes, I eat raw vegetables and I live to tell the tale!). 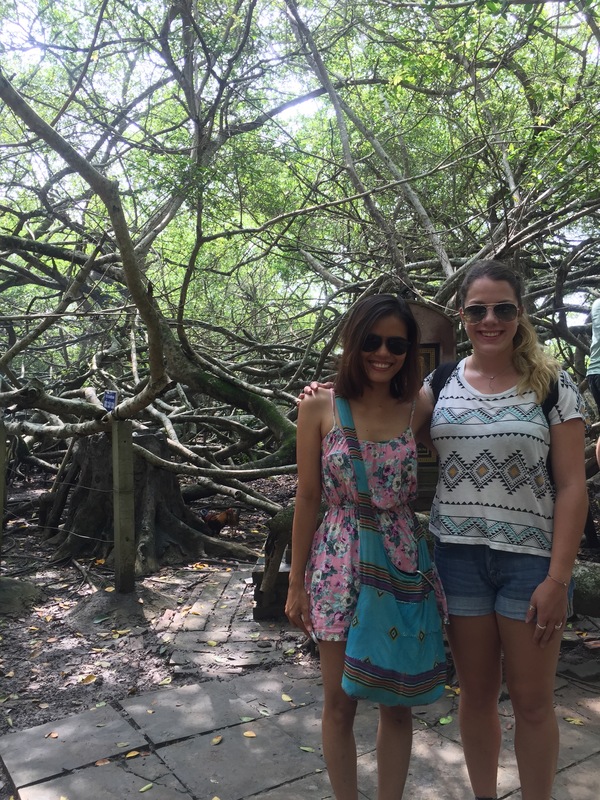 Maru and I then met up with a group of mixed Vietnamese and foreigners that had been planning on Facebook to do a little field trip to a famous big tree and a cacao farm. 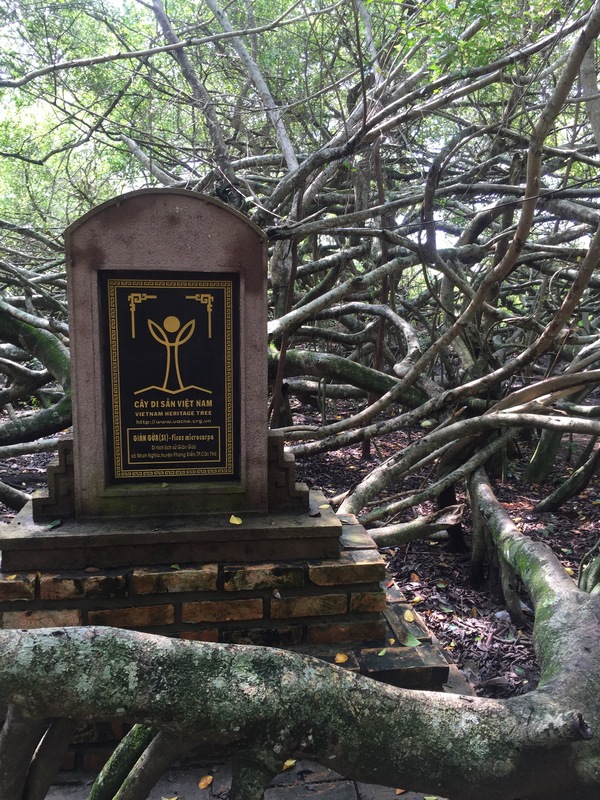 The big tree, called Giàn Gừa, is a Vietnamese heritage tree and thought to be very sacred to the people who live around it. The branches grow in all different directions and being there made me feel a kind of peace that I can’t quite describe. Next, we hopped back on our motorbikes and visited a nearby cacao farm with an impressive 2,000 cacao trees. We were given samples of the best hot chocolate I’ve ever tasted along with some surprisingly delicious wine distilled from cacao. 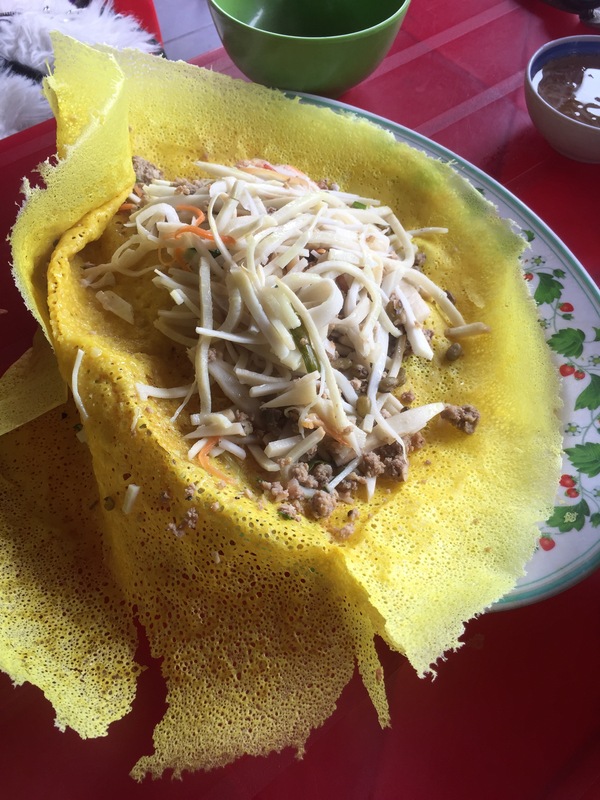 Next up on our adventure, we stopped at a restaurant and ate Bánh xèo, a traditional dish that is basically a thin yellow pancake stuffed with meat, shrimp, and vegetables. YUM. 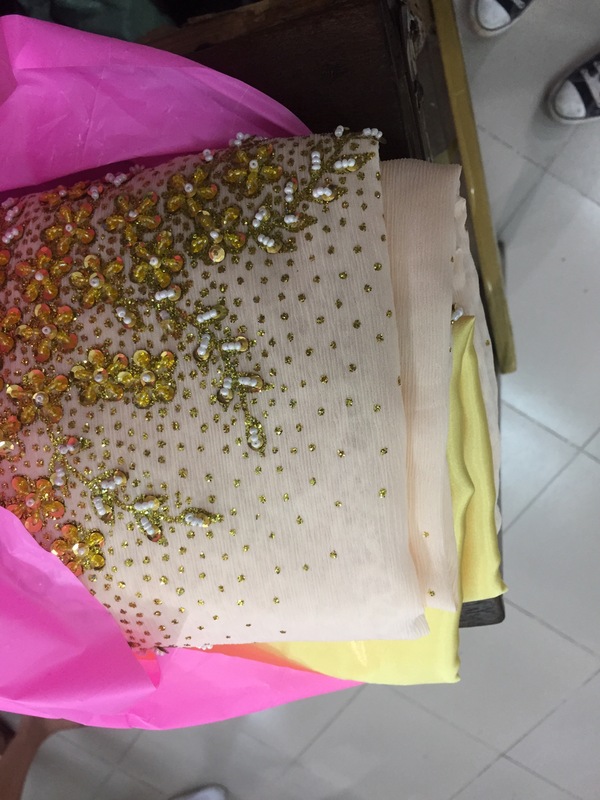 Without more than 20 minutes to relax, Maru and my two American friends, Fred and Connie, randomly decided that we want to take a trip to a fabric market to get an Ao Dai made (a traditional vietnamese dress). 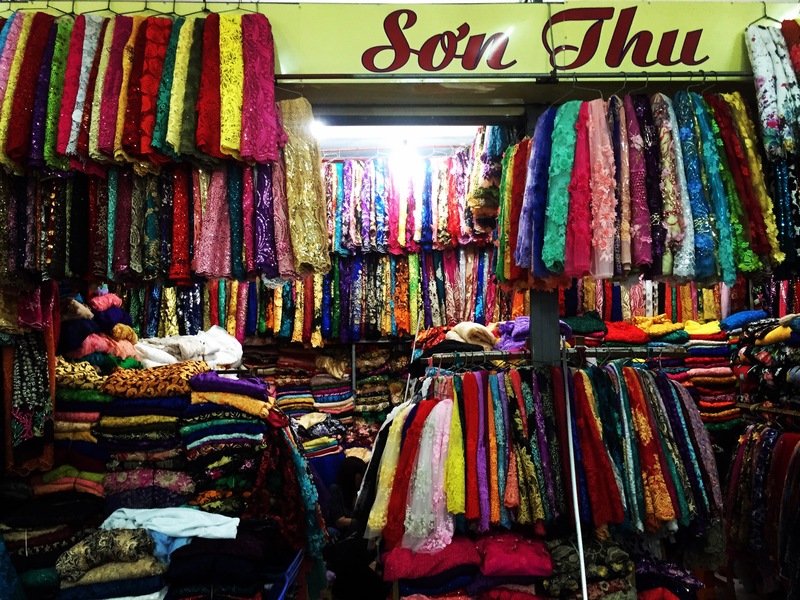 The fabric market is HUGE and the process of picking something out took a lot longer than you would think. Funny enough, Fred ended up buying way more than any of the ladies. After dropping our stuff off at the tailors, I went immediately to an orphanage where I plan to volunteer every Sunday from now on. Unfortunately, I wasn’t able to take any pictures but trust me when I say the kids were stinkin cute and climbed all over me for an entire hour. Apparently, the word American also means jungle gym. Straight from the orphanage, I went to meet my Vietnamese friend, Anh, for a Bollywood dance class. We recently discovered a new yoga place in town run by a few Indian guys and have been enjoying their yoga classes so we thought we would try some Bollywood dancing! To say it was hysterical would be an understatement… The guy leading the class obviously didn’t know how to dance so we ended up doing various hip girations to hindi music for an hour… but hey, we had a good laugh. After dance class Anh and I met up with a different group of mixed Vietnamese and foreigners to play ultimate frisbee! A group of us meet every week to play and since it was raining last week, this was my first time attending. I kid you not, I have never sweat so much before in my life. I guess the more you sweat, the better you are because my team kicked some booty! Taylor, you are “doing” Vietnam just right, to the max; good on you, mate. Love your travelogue.